Pimm's, punting and ball gowns are de rigeur. Ursula Flowerbutton, a studious country girl, arrives for her first term anticipating nothing more sinister than days spent poring over history books - and, perhaps, an invitation to a ball. But when she discovers a ghastly crime, she is catapulted into a murder investigation. Determined to unravel the case - and bag her first scoop for the famous student newspaper Cherwell - Ursula enlists the help of her fellow Fresher, the glamorous American Nancy Feingold. While navigating a whirl of black-tie parties and secret dining societies, the girls discover a surfeit of suspects. From broken-hearted boyfriends to snobby Sloanes, lovelorn librarians to dishy dons, none can be presumed innocent. Clueless meets Agatha Christie in this wickedly funny tale of high society, low morals and a middle-class girl, the first book in Plum Sykes's irresistible new series. 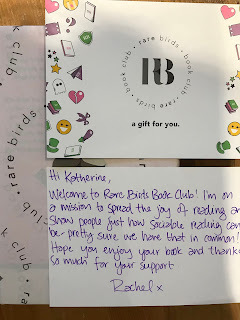 This book was sent to me by Rare Birds Book Club - a brilliant online book club subscription service, and in my post I'd like to share a little bit more about how Rare Birds works. I'm so impressed with the company and the beautiful presentation of the reading material, the thought behind the selection of the books and the easy way in which you engage in discussions, it's a great package! I'm handing over to Rare Birds as they can best describe how everything works! Let’s Get You Excited About Reading! Our online book club is here to make reading fun, whether you’re an avid reader who doesn’t have time to trawl the bestseller lists for the gems or a lapsed reader who wants to get back into it but just doesn’t know how. We’ve done the groundwork for you; we’re cherry picking the best of contemporary women’s fiction and celebrating female authors writing books we think you’ll love. Say goodbye to the days of struggling through books that don’t live up to the hype or feeling guilty about liking novels that others seem to turn their noses up at. We’re making the selection process easy and taking the experience online so that it’s more flexible, convenient and accessible. You subscribe and then go about your day. Once a month you get a great new book to get you excited. First – you sign up. You can buy in bulk with 3, 6 or 12-month options or choose a rolling subscription and we’ll bill you monthly. Next, we mail you a *surprise* book. The day you join is the day we ship your first book to you, and from then on you’ll get a new book through your letterbox at the start of each month. Along with your book you’ll get an introduction to what you’re about to read and why it’s worth the effort. Every month we do special extras for our subscribers, too – sometimes that means a little something extra in your box, other times it’s a special giveaway for subscribers with stuff you actually want to win. Then: you read. Go ahead and go at your own pace, there’s no rules around here. Some of our members read their books in a couple of days, others take a few weeks. Once your book is done, log in to the members’ area and interact with our community. This is a special access area you can only see if you’re a subscriber. Here you’ll find a review from our editor Rachel with plenty of food for thought, then a lively forum where everyone weighs in with their opinions. Sort of like a secret society for books. If you’ve never been in a book club before, don’t worry – our digital book club is a friendly and inclusive space. Sometimes we talk about celebrity castings, other times we talk about plot holes or the characters we loved and hated. 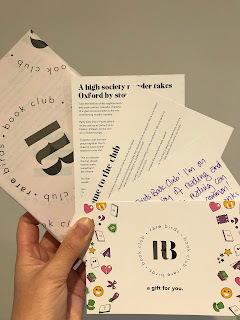 A SNEAK PEAK AT HOW THE CLUB WORKS & WHAT THEY THOUGHT OF THIS BOOK! Brideshead, bon-bons, cucumber sandwiches – and now a murder Pimm’s, punting and ball gowns are de rigeur. Ursula Flowerbutton, a studious country girl, arrives for her first term anticipating nothing more sinister than days spent poring over history books – and, perhaps, an invitation to a ball. But when she discovers a ghastly crime, she is catapulted into a murder investigation. Determined to unravel the case – and bag her first scoop for the famous student newspaper Cherwell – Ursula enlists the help of her fellow Fresher, the glamorous American Nancy Feingold. While navigating a whirl of black-tie parties and secret dining societies, the girls discover a surfeit of suspects. From broken-hearted boyfriends to snobby Sloanes, lovelorn librarians to dishy dons, none can be presumed innocent. 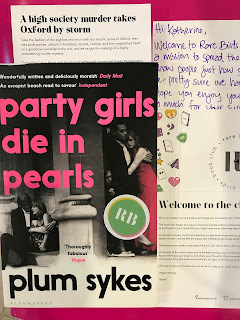 Clueless meets Agatha Christie in this wickedly funny tale of high society, low morals and a middle-class girl, the first book in Plum Sykes’s irresistible new series. 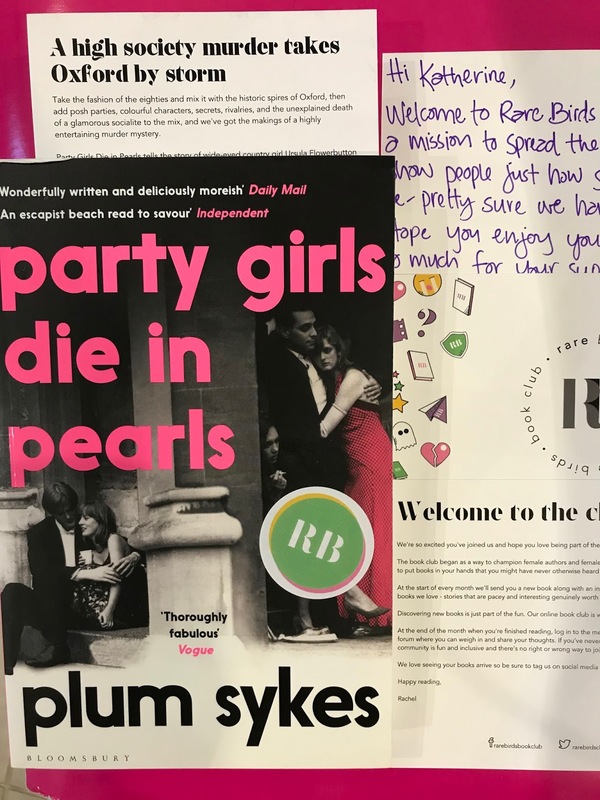 This time around we’ve got Party Girls Die in Pearls by Plum Sykes, which I thought would be a great choice for summer because it’s fun and entertaining but not too demanding. Perfect for anyone who wanted to switch off, essentially. I know a lot of our Rare Birds are big crime fans – and in fact, it’s now the bestselling genre in the UK. Last year readers purchased something like 18 million crime novels. Crime is such a reliable genre for a few of reasons. Mysteries by their very nature are entertaining. If they are working, they are plotted carefully to keep you turning the page and wondering what’s going to happen next. Also, the ‘crime’ takes place in the early chapters of the book, so as readers we don’t have to wait long for things to get interesting. Compared with the more traditional (and vaguely labelled) genre of ‘literary fiction’, where you can get a third of the way into a book before anything really happens, and it’s not hard to see why people are gravitating towards crime novels instead. The challenge for me with crime fiction is that many books rely on the same old tropes over and over again. The victims of these horrible crimes are often women and sexual violence is a recurring theme not just in crime books but in television and movies. The brooding, difficult and misunderstood hero with a dark secret of his own is another well-worn element to crime and detective fiction, as is a heavy or serious tone. 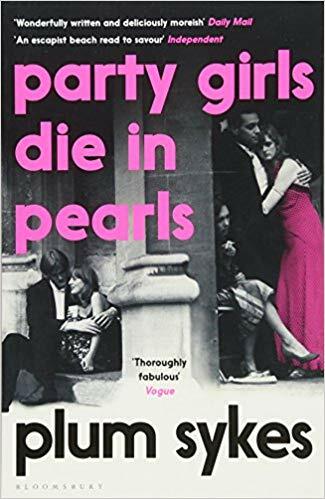 Crime is entertaining but it’s not all that often it’s also funny and uplifting – which is how Party Girls Die in Pearls first caught my attention. Overall, it’s an exciting time to be reading crime. 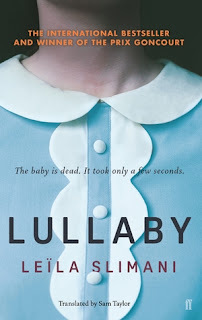 The surge in popularity means more women than ever are writing in this genre and inside the pages women are doing a lot more than simply playing dead bodies. What I love about this book is that it offers up many of the best elements of crime fiction but also brings something new to the table. It was refreshing to have a mystery to solve that was also so fun and over-the-top. It doesn’t take itself too seriously but is still interesting and satisfying and comes with the customary red herrings and hidden clues that are integral to a good mystery. Plum Sykes was born in London in 1969, the daughter of a fashion designer and an art dealer. She was educated at Oxford, where she studied Modern History. She started her career as a lowly intern at British Vogue in London, and in 1997 was offered a job as a fashion writer by Anna Wintour, the Editor-In-Chief at American Vogue. She moved to New York to take up the position, and covered fashion and society for the magazine. In 2003 she started writing her first comic novel, Bergdorf Blondes, which was published in 2004 and stayed on the New York Times Bestseller List for 16 weeks, and became a Best Seller in the UK and in many countries around the world. She published her second novel, The Debutante Divorcee, in 2006. She has written various teleplays and screenplays, and continues to work for American Vogue as a Contributing Editor. Plum now lives in England with her husband and two children, Ursula and Tess. 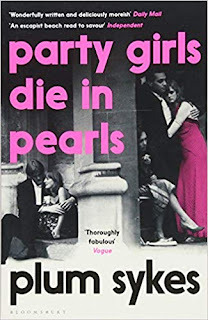 Her third novel, Party Girls Die in Pearls, is a comedy murder mystery set in Oxford in the 1980s. 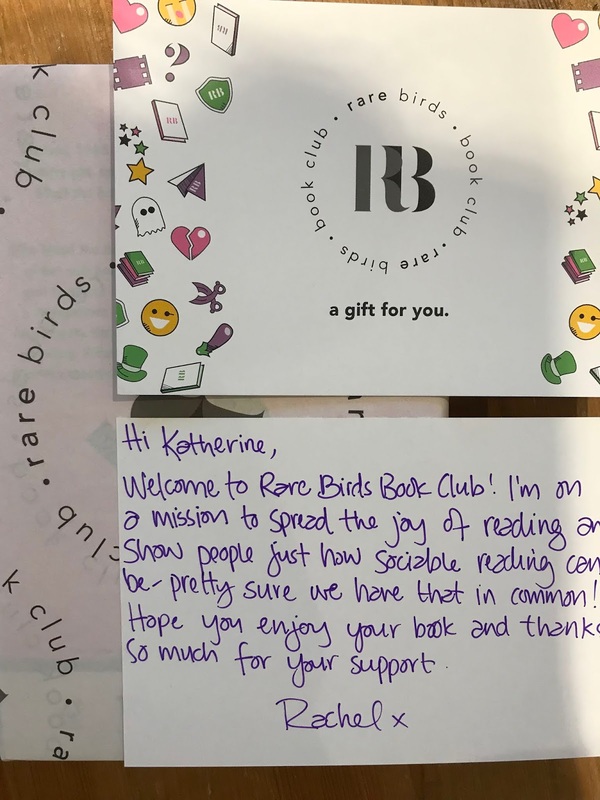 You can find out more about Rare Birds - or take out a subscription either for yourself or a book loving friend - via the website! Happy reading!